Over the last decade, regional development has resulted in increased numbers of new arrivals settling in regional South Australia. The Migrant Resource Centre in Murray Bridge (MMRC) provides support for the sustainable settlement and employment of all new arrivals to the Murraylands region. The Murray Bridge region is set to become a significant growth zone in South Australia. The region makes a strong a strong contribution to the South Australian economy, with a growing food production and processing industry. 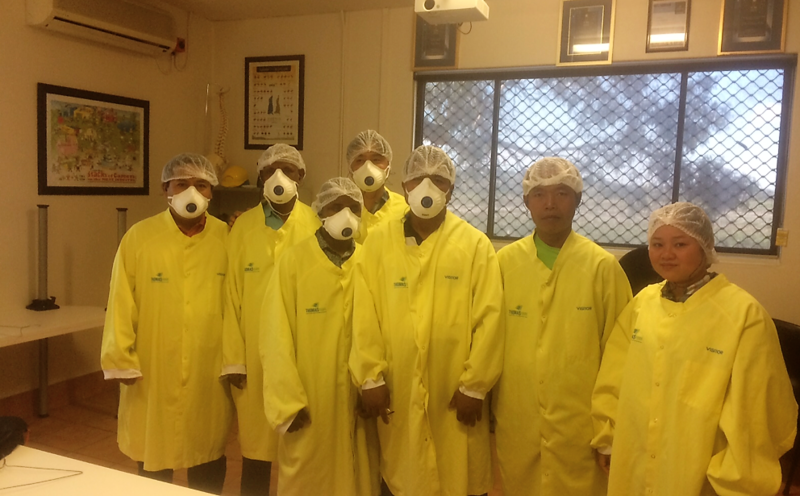 We recently commenced a 12 month pilot with Thomas Food International (TFI), National Meat Industry Training Advisory Council Limited (MINTRAC) and the Rural City of Murray Bridge Council to secure new arrivals permanent employment within the meat industry in Murray Bridge and to assist their settlement in the region. Thomas Food International is the largest 100% family owned meat processing company in Australia, with an annual revenue in excess of $1billion per annum. According to Morna Young Human Resources Manager, the meat industry is one of the growth sectors of the economy and presents many opportunities for job seekers. The company has a range of positions open for job seekers ranging from those not requiring a high level of skill. New employees without prior experience generally gain employment in entry level positions with the opportunity to progress. TFI has developed induction and training programs to assist the workplace to become more culturally competent. The company promotes career progression and offers employees opportunities to gain a certificate in meat processing as while as professional development and incentive programs. Murraylands MRC provides cultural expertise, marketing, relocation and case management, as well as assisting with induction. The pilot program is now half way through its 12 months with considerable success recruiting a number of new arrivals into permanent employment. Like any pilot program, there have been lessons learnt along the way which will be incorporated into a handbook Managing Cultural Diversity in the Workplace and promoting cultural diversity in regional areas.